From Croton-Harmon to Grand Central Terminal the Hudson Line is electrified using 3rd rail, so many trains originate or terminate here. 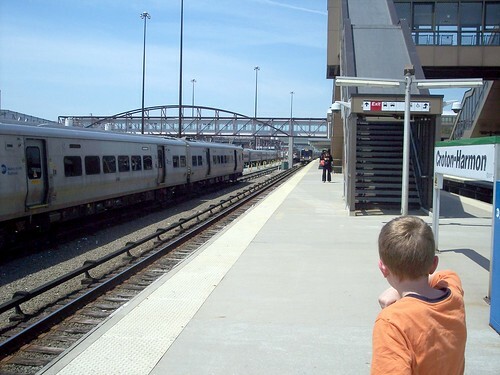 We began at least one of our trips to New York here and have changed trains here a few times. 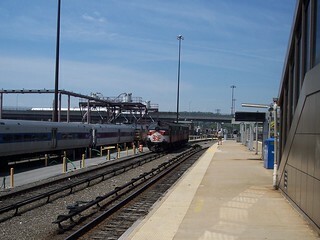 In this picture our Metro-North train to New York is approaching. The station has multiple high level platforms, and the station building is one of the crossovers between those platforms. On this day when we were there a couple of FL9s were idling near the station.